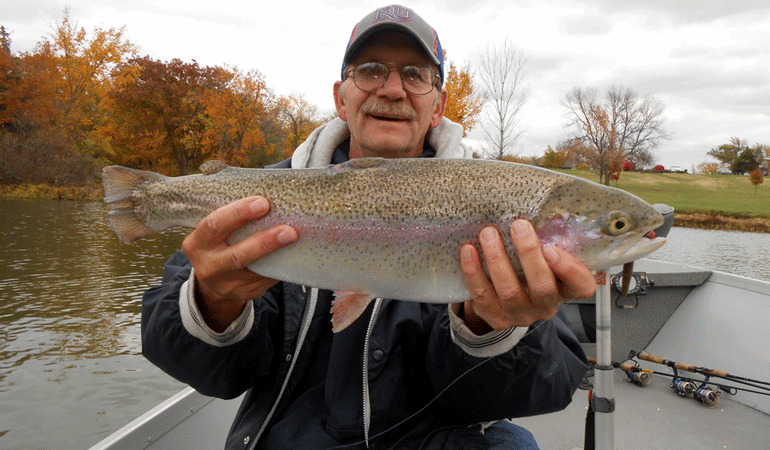 Since 2011, we have published scores of logs and 106,838 words about how, when, and where Midwest finesse anglers fished in November in various waterways across the nation. Many of these words were graced by the piscatorial insights and endeavors of Rick Allen of Dallas, Texas; Terry Bivins of Lebo, Kansas; Burton Bosley of Sutton, West Virginia; Norman Brown of Lewisville, Texas; Terry Claudell of Overland Park, Kansas; Steve Desch of Topeka, Kansas; Roger Farish of Highland Village, Texas; Brent Frazee of Parkville, Missouri; Merit Goodman of Eudora, Kansas; Bob Gum of Kansas City, Kansas; Paul Hansen of Shawnee, Kansas; Clyde Holscher of Topeka, Kansas; Pat Kehde of Lawrence, Kansas; Casey Kidder of Topeka, Kansas; Pok-Chi Lau of Lawrence, Kansas; Ralph Manns of Rockwall, Texas; Greg Monahan of Lee’s Summit, Missouri; Travis Myers of Paw Paw, West Virginia; Nathan Parker of Tulsa, Oklahoma; Preston Parks of Pittsboro, North Carolina; Mike Poe of Siler City, North Carolina; Marley Price of Ripley, Ohio; Steve Reideler of Denton, Texas; Chris Rohr of Overland Park, Kansas; Jim Stegeman of Olathe, Kansas; Walt Tegtmeier of Leawood, Kansas; John Thomas of Denton, Texas; Brian Waldman of Coatesville, Indiana; Brian Watson of Papillion, Nebraska; Dave Weroha of Kansas City, Kansas; and Josh White of Silk Hope, North Carolina. 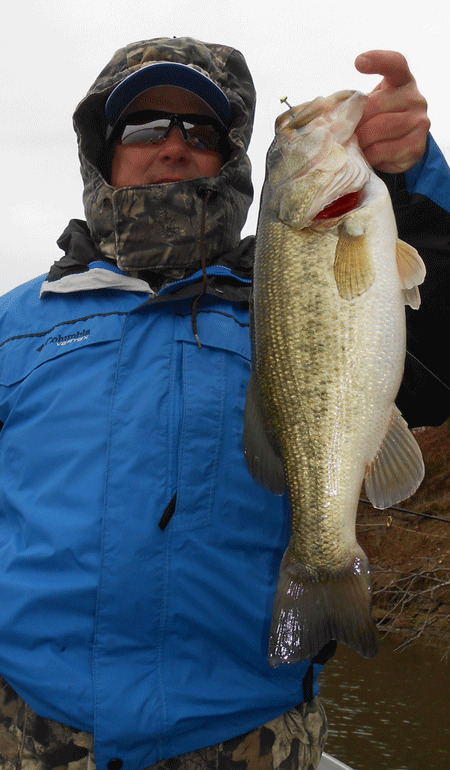 Winter is in the offing in northeastern Kansas, and our water temperatures are dropping. 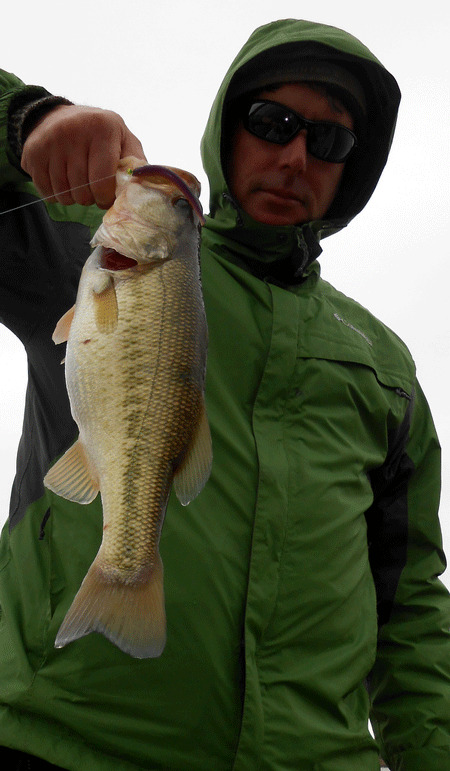 What’s more, we will be confounded by spells of freezing rain, sleet and snow, which can make conditions insurmountable even for the most ardent largemouth bass anglers. 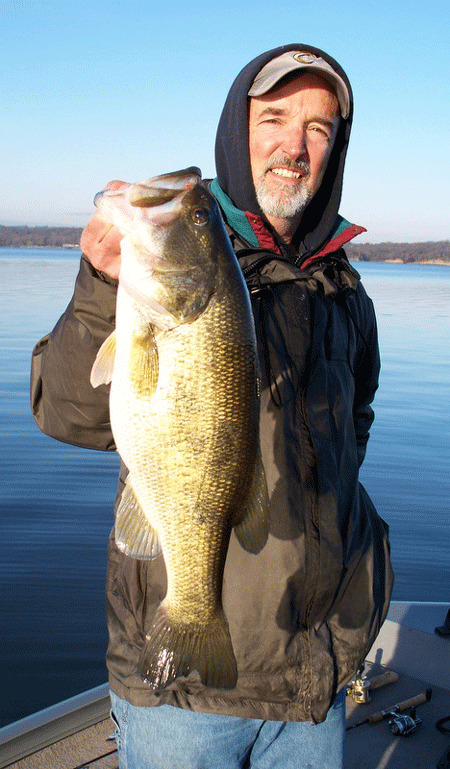 In our column entitled “A Month-by-Month Guide to Midwest Finesse for Bass,” we noted that the surface temperature at our northeastern Kansas reservoirs on November 1 is 56 degrees. 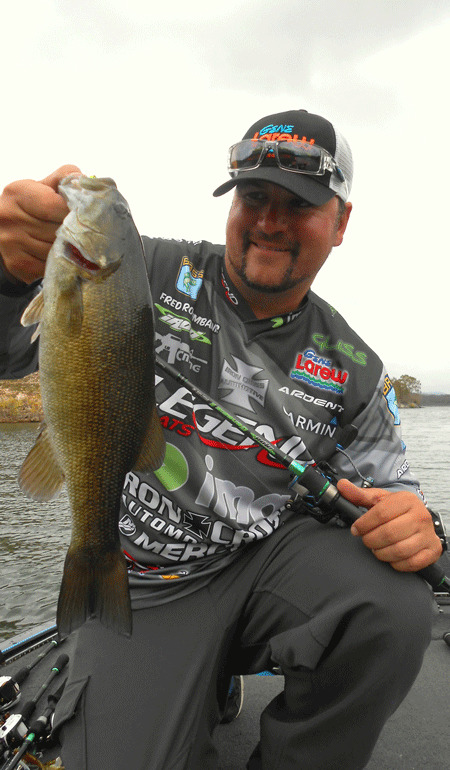 It drops to about 50 degrees during the middle of the month. It is around 46 degrees at month’s end. Below are 10 Internet links to the many words that we have published. 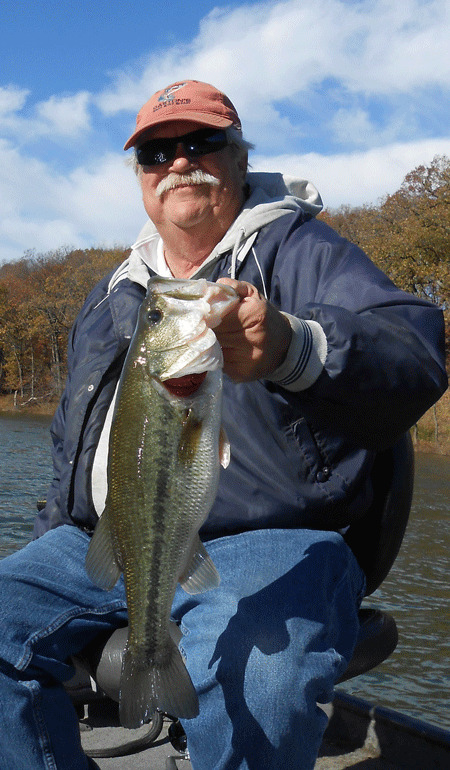 It is a link to our history that will remind us and teach us how, when, and where Midwest finesse anglers caught and failed to catch black bass during Novembers of the past in Indiana, Kansas, Missouri, Nebraska, North Carolina, Oklahoma, Texas, and West Virginia. These logs should also reveal how things have changed or not changed as time marches on.